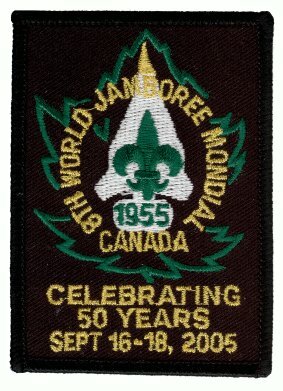 There have been several newspaper articles published about the Jamboree celebration. There have been articles about the Japanese visitors, the Floral Clock, and an interview with Tony. Eddie Chau of Niagara this Week has interviewed Tony and will interview Bill C. A story is also anticipated in the St. Catharines Standard. Stephen Murdoch of OEB International put out a press release about the event. Bill C. has been in touch with Darryl Day of Cogeco TV. They will do a story featuring current interviews and clips from the WJ'55 film. This will air in early September. Lou suggested opening a media office in Niagara Falls BP House. This could be staffed by a volunteer, perhaps from the Niagara College Journalism School, who would answer questions over the phone. There will be an on-site media desk at the unveiling. Ted has arranged for the Central Escarpment Council's display to form the backdrop for this. The committee hopes to put the media desk near the entrance to Fort George and will clear the location with Ron Dale. Liam and George R. will put together a media kit. It will include a copy of the program, background information about Scouting, a CJ'07 brochure, and a copy of the DVD. The budget includes money for advertising. Bill C. has been in contact with Cogeco TV about showing the WJ'55 film. Cogeco would like a reminder in late August. Al, Willard, and Tony will work on contacting local WJ'55 participants. Lou advised the development of a media plan including weekly stories starting in mid-August. CJRN Radio in Niagara Falls and CKTB Radio in St. Catharines both have community event listings that could be used. The committee should not overlook the Buffalo newspapers. There will need to be an on-site media desk where members of the media can get background information and ask questions. As well, there will need to be a media contact in the week leading up to the event to handle questions. Tony will write an article for the Leader magazine about the event and partnerships such as the Floral Clock. The article is due mid-May for the August-September issue. Lou has visited Penny Coles of the Niagara Advance. They are interested. Lou will arrange meetings with various other local newspapers for June 13. Lou suggested collecting newspaper clippings and making a booklet. Politicians like to see that events they are connected with receive favourable coverage. Lou also suggested that there be a media table at the unveiling of the plaque. The table should be staffed and have a press kit with information and backgrounders on various aspects of the event. Ted will contact local service clubs to see if they would be interested in funding a few print advertisements in the Leader magazine. George and Doug will work with Bill C. on writing some vignettes about the experiences of WJ'55 attendees for use on the web site and in print publicity.